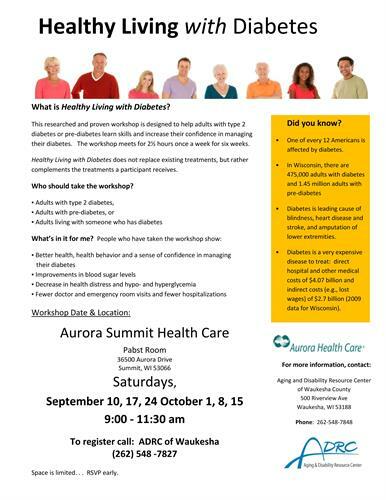 What is Healthy Living with Diabetes? their diabetes. The workshop meets for 2½ hours once a week for six weeks. complements the treatments a participant receives. Who should take the workshop?